Khaled Hossenini’s, The Kite Runner opened at the Wyndhams Theatre last night following the success of both the novel and film. It tells the story of Afghanistan over the span of 25 years, through troubled times. Transforming into a play adaption, Matthew Spangler has stayed true to the story and it’s importance by replicating this classic for the stage. The story is translated through Amir as he relives the past of his Kabul childhood. With his new life in America, he revisits his complicated life choices and his friendship with house servant Hassan. Ben Turner plays a brilliant leading man/narrator with the role of Amir. His performance is strong and consistent throughout. Andrei Costin as Hassin makes the role unique and is very believable in the role. The two of them work incredibly well together and are a great duo. With beautifully crafted music played to the side of the stage by Hanif Khan with the use of limited instruments, it gives the play a real authentic feel. The staging is very simple with the use of a few wooden slates and illustrations showing the pomegranate tree and kites flying. This allows you to focus on the true importance of this production rather than being distracted by anything else. With everything that is going on in the world, the text translates the importance of friendship, loyalty and strength and although a little slow paced at times, it resonates well with the audience. 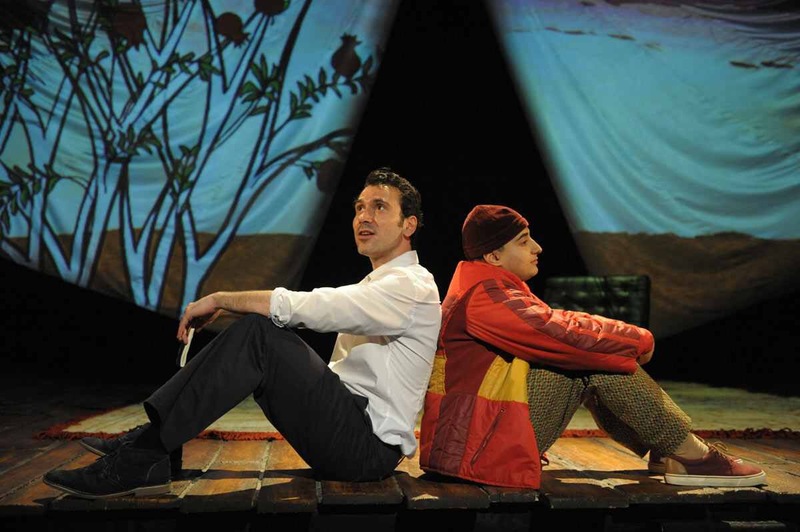 The Kite Runner plays at Wydhams Theatre until March 11th.